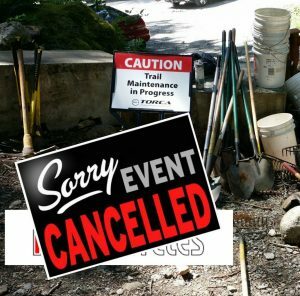 Due to a scheduling conflict with our sponsor we had to cancel the trail day. We are working on finding another day in the near future. We are once again going back to Burke. We will “bring back the Flow”. Meet us at the green gate at Conifer Drive at 9am (Map here). This trail day is brought to you by Kinetik Cycles. We have some prizes to give away. Coffee, snacks, lunch and tools will be provided. Please bring water and a pair of comfortable work gloves if you have them.